No, what I’m talking about is the brain’s ”distal” (ultimate) function. In other words, how and for what reason did the first nervous systems evolve? When I consider the question from that angle, the first answer that often comes to mind is an insight that Henri Laborit offered in the mid-20th century: ”The only reason for being a being is to be—in other words, to maintain one’s structure.” And to do that, the two main categories of beings, plants and animals, have developed two very different approaches. Plants have cells that are not highly excitable and that can use photons of sunlight directly, by means of chlorophyll molecules and the process of photosynthesis. All plants have to do is stand out there in the sun and use its energy, along with water from the soil and carbon dioxide from the air, to build and maintain their structures. But animals, including we humans, don’t have this ability. To find the resources that we need to maintain our structures, we have to move around in our environment, and hence we need to perceive it and act upon it. This perception-action loop is the source of all animal nervous systems, from those of the most primitive molluscs to the human brain. The human brain is based on this same general model, even though the cerebral cortex, which accounts for 80% of its weight, consists largely of associative areas, rather than sensory or motor ones. These associative areas let us detach ourselves from sensorimotor contingencies so as to control, inhibit, and plan complex behaviours. But in the final analysis, like all other animals, we still have to use our senses to perceive our food, then move our bodies to go get it. These are all fundamental considerations if we want to understand how the vast networks of excitable cells (the neurons) in our brain co-ordinate their activities, often by synchronizing them, to generate complex human behaviours, including subjective consciousness. Other terms used to refer to our fascinating ability to experience things subjectively are ”sentience” and ”qualia” (a concept in philosophy of mind). And it is sentience that is central to animal ethics (see second link below). Any animal is a sentient being to the extent that what happens to it matters to it: it wants to avoid suffering and seek well-being, in other words, biological equilibrium. According to an article entitled ”From membrane excitability to metazoan psychology”, published by Norman D. Cook, Gil B. Carvalho, and Antonio Damasio in the December 2014 issue of Trends in Neurosciences (first link below), the disruption of this fragile biological equilibrium at the biochemical level in the first animal cells was the initial event from which all sentience in the animal kingdom, including human subjective consciousness, subsequently sprung. Biochemically speaking, such a disruption alerting the cell that something of concern is happening in its environment consists of a massive influx of small positive ions, mostly sodium (Na+) and calcium (Ca2+) into the cell. This is the underlying mechanism of action potentials, the nerve impulses that travel along our neurons and enable them to communicate rapidly with one another. What is so original about the article by Damasio and his colleagues is that it posits a “first” instance of such an event from which all subsequent sentience in animal psychology, including human consciousness, was built. These authors note that the best environment for biochemical reactions that sustain themselves in a space enclosed by a cell membrane (what Maturana and Varela call autopoiesis) is slightly alkaline and thus negatively charged overall. Hence a massive intrusion of sodium or calcium ions, which are abundant in the sea from which life sprang, may have been the first direct signal telling the inside of the cell that something was going on outside it—for example, that a predator was starting to damage the membrane, causing an influx of positive ions, which required the organism to move to get away from the danger. 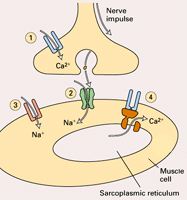 Much of the rest of the article is devoted to showing that regardless of whether the cells in question are sensory cells, or associative neurons, or motor neurons, or muscle fibres, it is always the influx of sodium and calcium that generates the nerve impulses, the release of neurotransmitters, and the excitatory potentials in animal nervous systems. And according to these authors, that is one of the reasons that artificial intelligence, implemented in electronic circuits in which electrons are circulating, cannot have sentience in the way that we understand this term for animals. Because microprocessors, although they process inputs and generate outputs in a manner that is often similar to human brains, do not have this intrinsic concern for their own survival that the authors associate with the influx of positive charges into nerve cells. This view meshes closely with the thesis of continuity between life and cognition—the idea that cognition in the broad sense appeared with the very first living cells—as presented, for example, by Evan Thompson in his book Mind in Life.